1.2 How Much Power Do You Need? Anyone who has a fireplace or wood stove knows the difficulty of preparing their firewood for winter use. But there’s a wealth of options out there for turning stumps into logs or kindling. I’ll delve into the details of log splitters and see what option may be the best for your home! There are two different types of force that are used for splitting logs. One is percussive, the other is pressure. 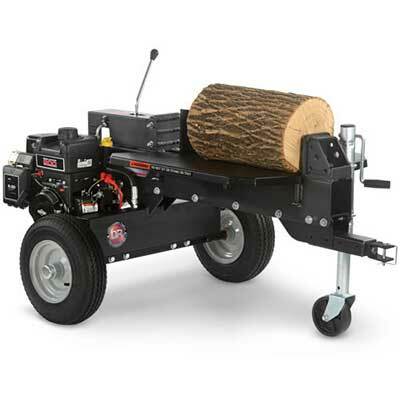 All varieties of log splitters fall into one of those two categories. Either something will strike the log with a forceful blow (ax, wedge, slide-hammer, kinetic), or it will push the log with increasing pressure against a wedge to drive the wedge through (manual, electric, gas-powered, hydraulic). Both types work quite efficiently. So how do you choose which one is right for you? Let’s look deeper at each variation and see what each type offers in terms of pros and cons. If you’re the type who wants to do stuff the old-fashioned way, or you want a workout, this is for you. Hand tools like wedges and sledgehammers have been used for centuries to break up logs into a smaller form. Some people favor axes. But there’s another choice — a splitter that eschews heavy sledgehammers or sharp, potentially-dangerous axe heads. The slide-hammer style allows you to bring powerful force straight downward into a log to drive a built-in wedge through without any gas or electric power required. 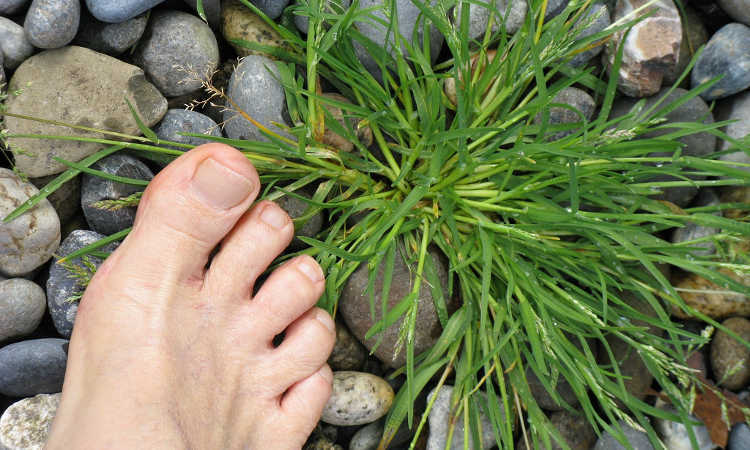 It’s a lot less risky than more traditional tools, but definitely requires a lot more muscle. The drawback is that it’s a low-volume choice. It’s fine if you only have a fire a couple times a year, but if you’re using your fireplace all winter long, you want a better option. If you want something that still isn’t powered, but has a little more force than a slide-hammer, a manual log splitter is your best bet. Manual splitters use hydraulic pressure to break through a log, but you’re providing the base force with your strength. There are both horizontal and vertical manual log splitters available. The drawback to a manual wood splitter is that it still requires some strength – far less than a sledgehammer and wedge might, but still some force needs to be exerted. It’s a repetitive motion like a slide-hammer, albeit a different style of motion and generally more tolerable for slightly larger amounts of wood. 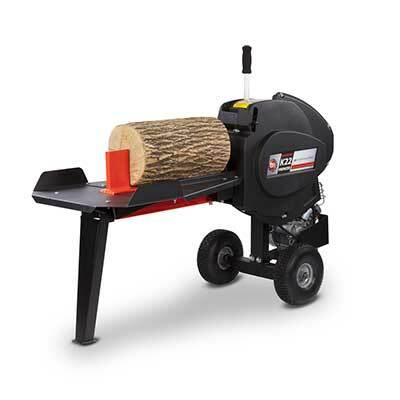 The average consumer-grade electric log splitter can exert between 4-10 tons of force to break right through a log. 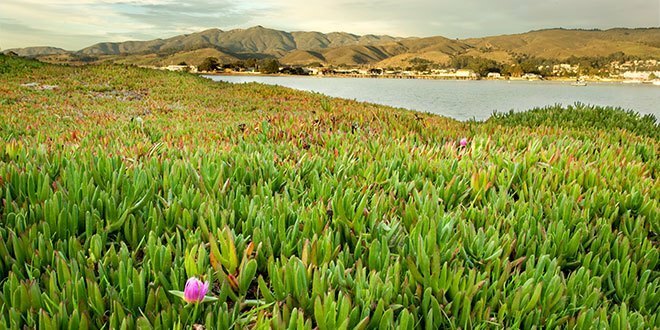 You will need access to a power source, either a hardwired power source or a generator. Electric splitters have the perk of being able to use them virtually anywhere that has power. They’re quiet, affordable, and can even be used indoors when the weather is poor outside (although like any splitter, they can make a mess). But the drawbacks for electric splitters are that they tend to be intended for small residential use. Most electric splitters aren’t meant for logs more than a foot in diameter, and they’re generally intended for splitting seasoned wood. As they do require power, they also can’t be used away from a power source, so if you don’t have a generator, you’re stuck using them within extension cord range of the house. Consumer-grade gas log splitters can easily pummel through logs with 8-16 tons of pressure, which puts them in a much higher power range than electric splitters. From there, there’s an intermediary step that can get you 20-29 tons of force, after which it goes fully into professional range with a maximum of 37 tons of force exerted. But gas splitters are noisy. After all, they are effectively splitters with a portable generator mounted on them. Because they’re burning fuel, you can’t use them inside, which may be a drawback in the winter. They can handle some green wood as well as seasoned wood, but for consumer-grade models, they’re still limited in terms of the maximum size of the log you’re trying to split. If you have a small tractor and a few cords of wood to split to stock up for winter, semi-pro or professional hydraulic log splitters are great. These machines, which are sometimes also referred to as 3 point log splitters, are most commonly used by professionals as they require a tractor. You transport them by towing them behind the tractor, then hook into the tractor’s power to operate them. But if you’re going to be splitting a whole lot of firewood, you might really want these. 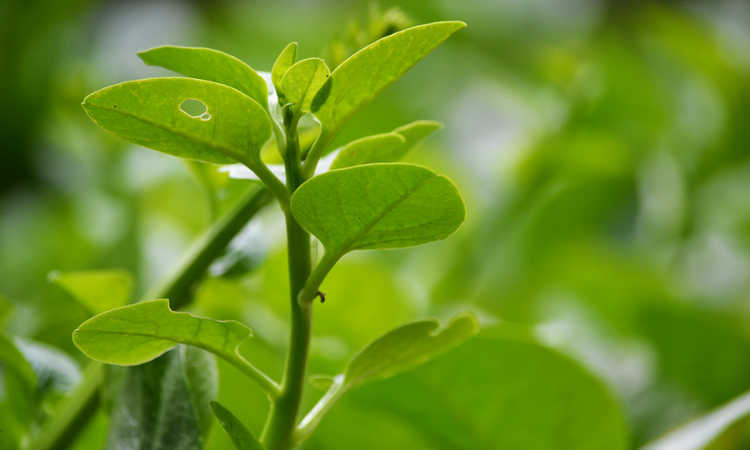 While these are extremely powerful and get into the highest tonnage ratings on the market, and power through both green and seasoned wood with ease, they’re also among the most costly. Since often these are a professional or semi-professional grade of tool, you get what you pay for in terms of power and capability. But for the average small family, a large hydraulic splitter may be overkill. Where all other varieties of log splitter are referred to by tonnage and can get as high as 40 tons of power exerted, kinetic splitters are a bit different. Sometimes called a flywheel log splitter, kinetic log splitters use a spinning flywheel to store up power and then break through a log in a single thrust. And because they exert their force as a single blast rather than through built-up pressure, they don’t have tonnage ratings. Kinetic splitters are fast and efficient, and are easier to maintain than hydraulic splitters. But their biggest drawbacks are their size and their price. Because you have to have a flywheel compartment to create the force, they tend to be much larger in size than hydraulic options. They also tend to be quite expensive. But if you’re looking for a professional-grade splitter for large volumes of wood, you may still want one of these for the speed. If you’re looking at all of these options and aren’t sure what you need, you’re not alone. Let’s try to simplify that a bit for you. When you are primarily looking for enough wood for the occasional holiday or rainy day fire in the fireplace, you’re likely fine with a slide-hammer splitter, a manual splitter, or maybe even an old-fashioned wedge/sledgehammer combo or an axe (as long as you know how to use them properly). Chances are that you’re not going to store a large quantity of firewood for consistent burning, and you don’t need to have heavier equipment to handle what you’re doing. If you’re cutting up to a cord of firewood, you may want to look at an electric or gas-powered model. However, take into consideration the size of the logs available and whether they come pre-seasoned or green. If your firewood is likely to arrive green early in the year, you’ve got plenty of time during the summer months for it to dry out and can use a lighter tonnage device. If it’s coming green late in the year, you may need to go up to a higher tonnage to get through the wood. Let’s say you’re considering getting two or more cords of firewood to heat your home through the winter, or you’re considering selling firewood yourself. You’re probably going to be working with much larger logs, and you’re going to need a heavy-duty option to break that wood down in a reasonable amount of time. Since you have enough room to store all that firewood, you probably also have enough room to store your tractor and large hydraulic setup or a large kinetic splitter. At that point, the extra expense might not be such a bad investment for the long-term ease of breaking down your wood supply. With anything meant to demolish wood like this, safety must be a primary concern, because there’s very real danger inherent in machines like this. 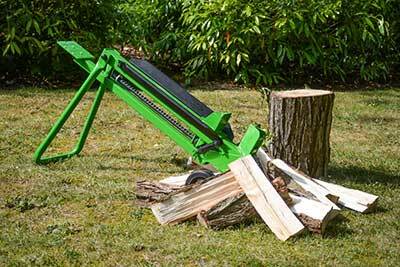 The safest varieties of log splitters are the slide-hammer or manual machines. As you are the one exerting pressure on the wood, it’s unlikely to suddenly crack through and send pieces of log flying off in different directions. But they do tend to cause some muscle strain, so you need to be careful to avoid repetitive motion injuries. Electric splitters are the next-safest, being the next lowest in terms of power. Even if a log shatters into large chunks, they are unlikely to become distance projectiles. 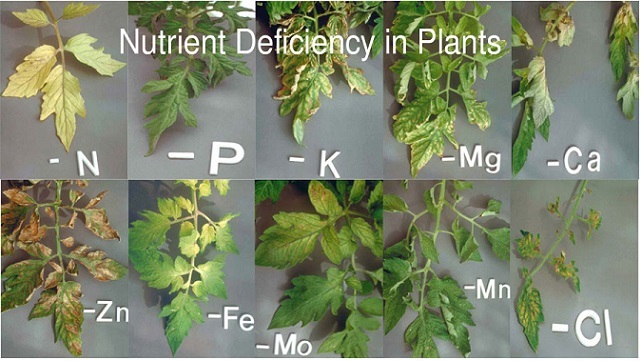 And the dangers only increase from there going forward through gas, hydraulic and kinetic options. Vertical log splitters are often a bit more protective than horizontal ones, as you can stand behind the beam to operate the splitter and the beam will prevent logs from popping out at you. However, there are very few vertical log splitters on the market as they tend to cost much more. In all cases, it’s important to wear eye protection to protect yourself against flying wood chips, heavy gloves to protect against splinters, and be mindful of where you are standing and where your hands are placed before engaging your splitter so that you don’t risk injury. As long as you take reasonable precautions, log splitters should be no more dangerous than any other power tool. Here’s my top picks for wood splitters, as well as a couple more specialized good choices. If you’re looking for something basic and compact, the Woodeze 5MH-S-Splitter is a great option. Using a large piece of log as a stand, you can easily cut through most smaller logs with ease, and it quickly makes kindling out of smaller pieces of wood. While it’s best used for people who don’t need to cut lots of firewood, it’s one of the least-painful slide-hammer models, and it provides a cheap log splitter option. 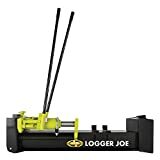 There’s a lot of very similar models on the market that range from $150 to $200, but I find that the steel construction of the Sun Joe LJ10M Logger Joe 10-Ton Hydraulic Splitter is by and large the best choice. As with most types of manual splitter, it features two handles, one which exerts lower pressure when pumped and the other with higher pressure. The handles are a bit longer than other variations which helps make the process more comfortable. It comes with a 2-year warranty. 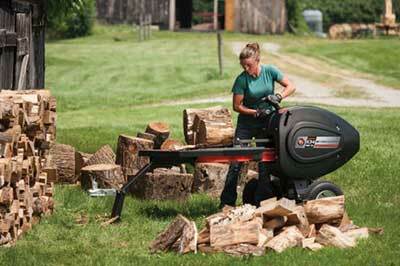 For its great price and high value, I like the Boss Industrial ES7T20 electric log splitter. Its 7-ton force works well on seasoned wood. It’s built solidly, and comes with a 2-year residential warranty. It’s not intended for commercial use, but if you want something that you can use in your garage during inclement weather, this is the best choice. And Boss Industrial wins again. The Boss Industrial GD16T21 gas splitter has 16 tons of power in a relatively small package. It comes with a wheeled trailer jack as well as a tow hitch, so you can use it standalone as well as on a hitch. The log cradles are heavy-duty, unlike cheaper models. It’s not a lightweight machine, though… it weighs about 300 pounds. This is a good intermediate option that’s suitable for people who’ve got a pile of wood to break down. The gas-fueled, heavy duty Swisher LSRB87528 hydraulic splitter provides 28 tons of hydraulic power. It will easily slide through both green and seasoned wood. Best of all, it can be used either horizontally or vertically, so you have a choice in orientation. 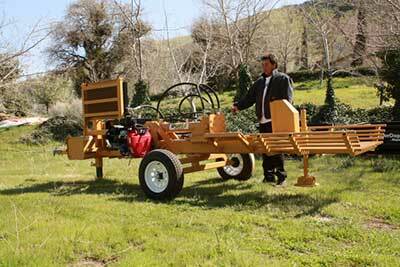 It is not at all lightweight, weighing in at 548 pounds… you’re going to need a tractor to haul this bad boy around. But for the power it provides, the Swisher log splitter is definitely a great choice. Kinetic log splitters are ridiculously fast and strong, but expensive. For the money you’re going to spend, I can’t say enough good things about the DR RapidFire K22 kinetic splitter. First and foremost, it has a steel table that keeps the logs from falling once they’re split, enabling you to put them right where you want them without stooping down. It’s wheeled and has a handle, so you can maneuver it, or purchase an optional towing kit for it. And did I mention that it’s fast? It shears through a log, green or seasoned, in just a couple seconds and is almost immediately ready for the next. 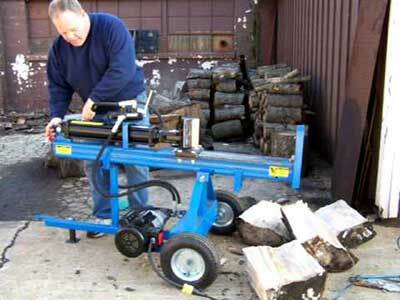 The DR Rapid Fire log splitter comes with a 2-year limited warranty. Let’s say that you don’t need a powered machine – you just want to break up some logs into smaller kindling for your outdoor fire pit. In that case, all you need is a Kindling Cracker. 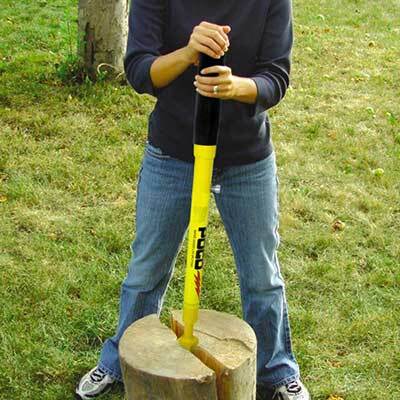 Using this heavy cast-iron cylinder with built-in wedge and a heavy mallet, you can break up smaller logs or branches into easy-to-use kindling with a strike or two. It can be bolted to a stump for added height and security. The Powerhouse XM-380 electric log splitter provides 7 tons of hydraulic force in a solidly-built unit. What this has that other log splitters don’t have is dual-hand operation. By using both hands to run the machine, you keep your hands out of range of the crushing force, keeping you safe and intact. It’s not cheap, but if safety is your primary concern, you will want the Powerhouse. 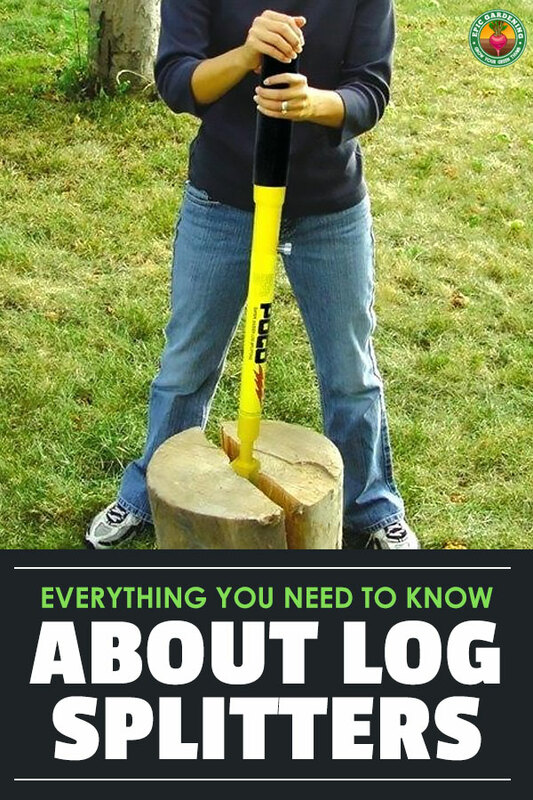 Hopefully I’ve answered all your questions about log splitters, and you’ll easily be able to get one that suits your needs. What style do you prefer? Let me know! Had to comment after seeing all these log splitters use wedges which are dangerous . I now have a patent on a solution which is wedge free and has safety guides. US 14,578,557 furthermore my invention can be fitted to any to enhance safety and use less energy plus make kindling . 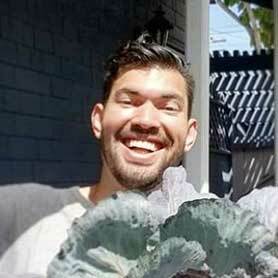 Very cool Walter, feel free to send more info.